Shower Stool is ideal for narrow tubs. Manufactured by Carex, this Shower Stool comes with a round seat and adjustable height. Slip-resistant rubber tips help keep the Shower Chair in place. Blow-molded plastic seat is round with 13 inches in diameter. The height of Shower Stool adjusts in 1 inch increments from 15(1/2)-20(1/2) inches. 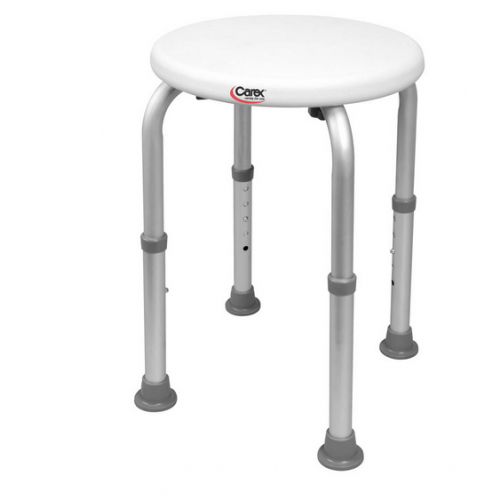 This Carex Shower Stool comes with anodized aluminum legs. Fits narrow tubs and showers. Height: Adjustable 15.5 - 20.5 inches. 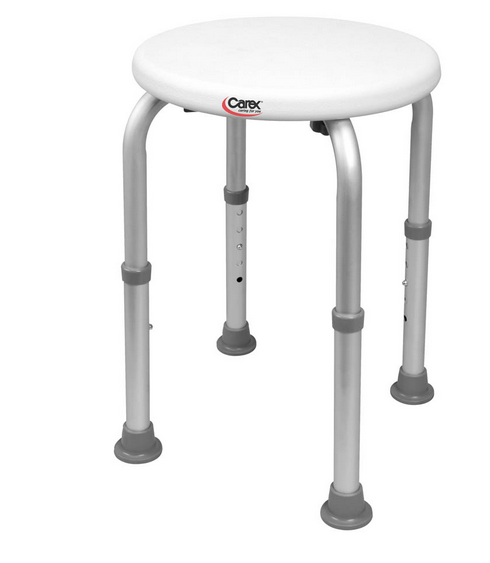 Carex Compact Shower Stool Warranty: Limited Lifetime. Carex Shower Seat offers instructions for safe use and care. We do not have any store fronts other than our single location in Salt Lake City, UT; however, we can ship directly to your door.